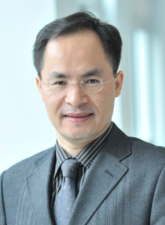 Xueming Luo is Charles Gilliland Chair Professor of Marketing, Professor of Strategic Management, Professor of Management Information Systems, and Founder/Director of the Global Center for big data in mobile analytics in the Fox School of Business at Temple University. His current research focuses on mobile consumer behavior, big data marketing strategies, customer analytics with machine learning and networks visualization, gaming and virtual identity, social targeting ads, organizational strategies, and the financial value of marketing metrics. He is one of the most prolific and influential leaders in the marketing-finance interface. Dr. Luo is ranked as the No. 1 U.S.-based scholar contributing to the Journal of Marketing, a premier journal in the discipline, from 2006-2012. He has also been ranked first in the world in terms of citations in the top five marketing journals: Journal of Marketing Research, Marketing Science, Journal of Marketing, Journal of Consumer Research and Journal of the Academy of Marketing Science from 2006-2010. Russell S. Winer is William Joyce Professor of Marketing at the Stern School of Business, New York University. He received a B.A. in Economics from Union College and an M.S. and Ph.D. in Industrial Administration from Carnegie Mellon University. He has authored over 70 papers and 4 books in marketing on a variety of topics including consumer choice, marketing research methodology, marketing planning, advertising, and pricing. Professor Winer is currently a Senior Editor for Marketing Science and has served two terms as the editor of the Journal of Marketing Research. He is a past Executive Director of the Marketing Science Institute in Cambridge, Massachusetts. 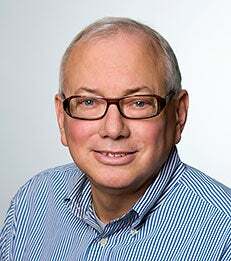 Professor Winer is a founding Fellow of the INFORMS Society for Marketing Science and is the 2011 recipient of the American Marketing Association/ Irwin/McGraw-Hill Distinguished Marketing Educator award. His research focuses on customer relationship management, consumer choice models, psychological aspects of price, and use of information technology in marketing.